Snapchat is one of the most popular social apps today, but how? What exactly is so special about it, and why has it been quickly sweeping up mobile users faster than anything else? To make a long story kind of short, Snapchat is an app that truly changed how people interact with friends compared to other popular social networks like Facebook and Twitter. Not everyone gets it — particularly older adults — but Snapchat sure is all the rage among the youngest smartphone users, including teens and young adults. Snapchat is both a messaging platform and a social network. It can't be used from the regular we and exists only as a mobile app you can download to your iPhone or Android smartphone. Users can chat with their friends by sending them photos, short videos up to 10 seconds long. You can sort of think of it to be like texting with pictures or videos. Text chats and video calls are two other features that were added more recently to the app. One of the most unique things about Snapchat is the ephemeral components of all the content that gets shared on it. Photos and videos essentially disappear a few seconds after they've been viewed by their recipients. Unlike other social networks, which keep your content online forever unless you decide to delete it, Snapchat's disappearing content makes online interaction feel more human and a little more grounded in the present moment. There's not as much anxiety about posting the perfect photo, wondering about how many likes or comments it might receive because it disappears within a few seconds and the only interaction you may receive back is a photo, video or chat reply. Building on its massive success, Snapchat eventually gave users their own sort of news feed feature where they could post photos and videos that could be viewed by their friends as a story clip rather than as a private or group message. These clips — called stories — are posted for 24 hours only before they disappear. The heaviest Snapchat users are teenagers and young adults who submerge themselves in social media and are pretty addicted to their smartphones. Because Snapchat photos self-destruct automatically, a big trend has emerged: sexting via Snapchat. Kids are basically taking provocative photos of themselves and sending to their friends/boyfriends/girlfriends using Snapchat, and they feel more liberal about doing it because they know that those photos get deleted after a few seconds. Snapchat messaging sure seems like it's private when you're only messaging one other friend, and the disappearing effect makes users feel a little more daring. Unfortunately, their controversial photos and videos can still end up somewhere on the web without their permission. The general rule of Internet sharing goes something like this: if you put it on the web, it will be there forever — even if you delete it later. It’s reassuring to know that Snapchat content is automatically deleted soon after it’s been viewed, but there are still ways to capture that content and save it… forever. According to the FAQ section on the Snapchat website, users are notified if any of their recipients try to take a screenshot of any of their snaps. Screenshots can indeed be captured if a user does it quickly, and the sender is always notified about it right away. Despite the screenshot notifications, there are still some ways to capture snaps without senders knowing. 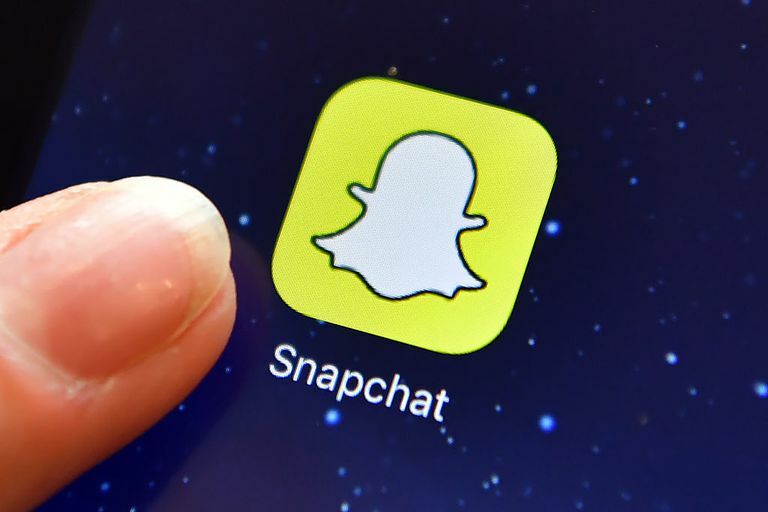 Countless tutorials have been published online about the topic, and Snapchat has done its part in continuously updating the app to keep privacy and security in tiptop shape. In late 2012, Facebook announced that it was coming out with an app to compete with Snapchat. The Facebook Poke app was released, which closely resembled almost everything about Snapchat. A lot of eyebrows were raised shortly after Facebook Poke was released. Many criticized the social networking giant for creating a complete copy of such a successful app and raised questions about potential problems in Facebook’s product development area. Two weeks after Facebook Poke launched, it never broke into the top 100 apps on iTunes — while Snapchat remained took the fourth top spot. Facebook Poke failed to match Snapchat in terms of capturing a strong user base. Maybe Zuckerberg should have stuck to its retro poke function we all used to have fun with on our Facebook profiles back in 2007. In 2016, Instagram unveiled its very own Snapchat-like stories feature to compete with the popular app. Users were surprised to see how eerily similar it was to Snapchat, almost as if Snapchat itself was built directly into Instagram. So far, the new Instagram seems to be a pretty big success. People are using it, but it hasn't been a big enough success to completely convince users to give up using Snapchat stories just yet. Now that you know what Snapchat is and what to look out for in terms of security, check out this tutorial that walks you through how you can start using it. You need to download the free iOS or Android app from iTunes or Google Play, or make sure you have the most updated version if you have it already. The app will ask you to create an account by entering an email address, a password, and a username. Snapchat will ask if you want to check to see which of your friends in your social network are already using Snapchat. Although it reminds us a lot of SMS texting, the app works with your data plan or WiFi connectivity when sending and receiving Snapchats. Keep in mind that once a Snapchat has expired, there’s no way you can look at it again.